Let’s face it, being a self-published author is a lot of work. Writing is no longer your only task. All the other bits needed to get your book published, and into the hands of readers, is your responsibility too. At Gothic Zen Studios, we’re committed to helping you - a self-published author - sell more books. As writers ourselves, we understand the rigmarole involved, which is why we specialise in using our film experience to support indie authors. Check out our services below and drop us a line if you’d like a quote or more info. A Book Trailer is a short video that promotes the release of your book. It highlights your book’s story and connects with viewer's emotions, persuading them to purchase. Gothic Zen Studios offers 3 book trailer packages, meeting all price points. 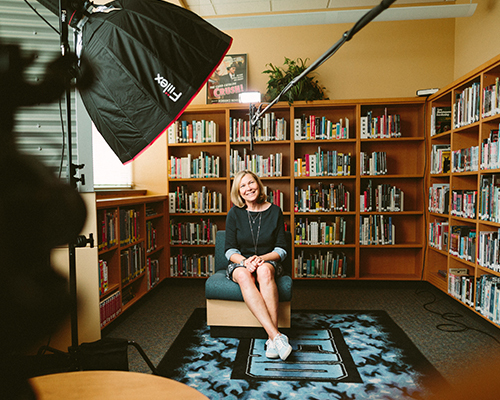 An interview-style video that puts you - the author - in the spotlight. The book’s story, and your inspiration for writing it, are captured on film in a relaxed, supportive atmosphere. Use to pitch to potential publishers, or for marketing via your website, social media, YouTube. Gothic Zen Studios is ready to give you the Lights, Camera, Action treatment. Learn how to turn your book in to a professional TV or film script. Your teacher will be Goran, a qualified film professional, published author and experienced scriptwriting lecturer. Delivered as 2x 2 hour, one-on-one classes (in person or online) to give you the best chance of success.